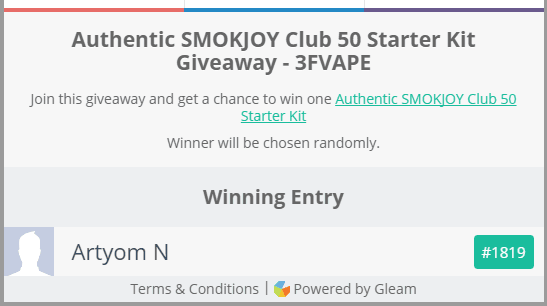 atouvap.fr • Consulter le sujet - Giveaway: Win free SMOKJOY Club 50 Starter Kit on 3Fvape! You may want to know who is the winner of this giveaway, here is the answer! is it you? Thanks so much for your joining, hope you will win next time !